Feeding off of the currently popular Young Adult genre in various media formats, director Antoinette Jadaone has come out with “Love You To The Stars And Back” starring the country’s possibly most underrated love team - Julia Barretto and Joshua Garcia. 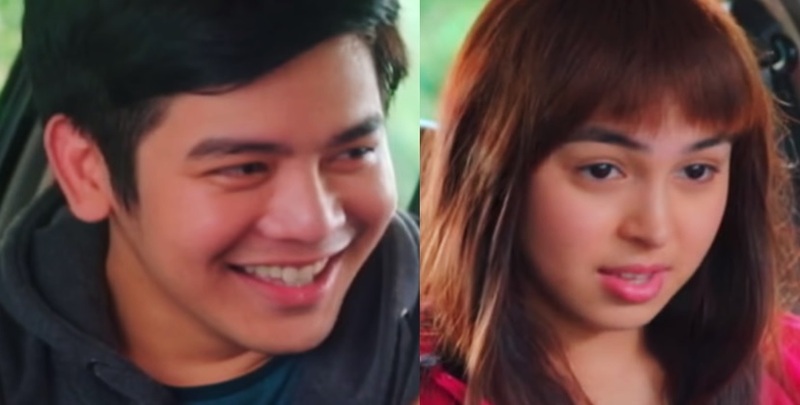 The main narrative of the film, which takes place in just a matter of days, takes on the fateful meeting and immediate bond between Caloy (Garcia) - a leukemia-stricken but still jolly normal guy and Mika (Barretto) - a full of hang-ups girl who genuinely wants to be taken by aliens. Jadaone was able to find a way to make their personal journeys, both individually and together that the supernatural aspect of the film takes a back seat -- a good and a bad way, depending on people’s perspectives. While both Caloy and Mika gets their respective due in the film, the former arguably got a more fleshed out character than the latter. The cheerful commoner had his backstory crafted pretty decent that viewers were immediately invested on him, his family and his ultimate fate from the get-go. That said, the compromise to have Mika’s own life story only briefly glossed over but keep her search of aliens a recurring theme and at times, even a teased end game kept her in the loop and not relegated to just a supporting role. After all, “Love You To The Stars And Back” is supposedly about the story of two people. However, the one thing that arguably stood out in this Star Cinema piece is the performance of Barretto and Garcia. Both young actors brought out their A-game which is furthered by their innate chemistry with each other. Boxed up in a car in majority of the film could have easily downgraded the actors’ ability to evoke “the feels” as their bodies were restricted, hence depending on their facial features to express their respective characters’ emotions at that point in time. If there are any doubts about Barretto’s acting chops and dubbed being nothing as a pretty face, her execution in “Love You To The Stars And Back” effectively squashed them. The project is a testament of her range - from comical to downright hysterical, she delivers every line with clarity and raw emotion and without missing a beat. Garcia, on the other hand, proves that the age of John Lloyd Cruz and Piolo Pascual is still very much alive with him being the next iteration of a celebrity which is first and foremost known because of his abilities in front of the camera instead of being just an angsty and gimmicky personality. Minor gripes on the film, as previously mentioned is it being sold as a supernatural infused love story, but the film could have worked alright, if not better without the name dropping of aliens. Although to be fair, it resulted to a few chuckles, especially with the absurd chant Mika made on her own. Further, there were some parts in the first and second acts where the camera got a little bit too shaky. Whether those were intentional or not to drive the thriller/fantastical aspect of the movie, they were a bit jarring. Overall, “Love You To The Stars And Back” is a formulaic Star Cinema film - satisfying and massively appealing. But it’s greatness lies in the performance of Barretto and Garcia. If anything, these two should be getting way more hype and interest than they currently have right now as they are more likely to last in the business - whether together as a love team or individually as actors.